London: Daniel Sturridge served a reminder of his worth to Liverpool manager Jurgen Klopp with both goals in a 2-1 victory over Tottenham Hotspur in England's League Cup on Tuesday. Sturridge has started three of Liverpool's last four Premier League games on the bench, but he seized his chance at Anfield to send last season's beaten finalists into the quarter-finals. "Overall summary, it was a deserved win," Liverpool manager Klopp told Sky Sports. "Big number of chances and a wonderful goalkeeper from Tottenham (Michel Vorm). All good. I think it was entertaining. 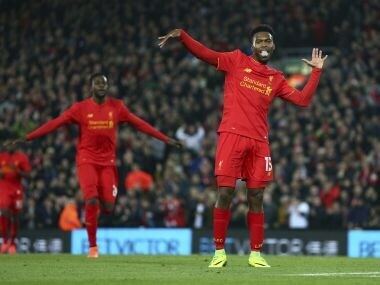 "He (Sturridge) did what he has to do and it was brilliant. He could have scored three or maybe four, but it was really good. That's his big strength and he showed it again." Liverpool, who lost on penalties to Manchester City in last season's final, took a ninth-minute lead when Marko Grujic's deflected cross from the right was stabbed in by Sturridge. "I'm pleased with the performance, but not the result. 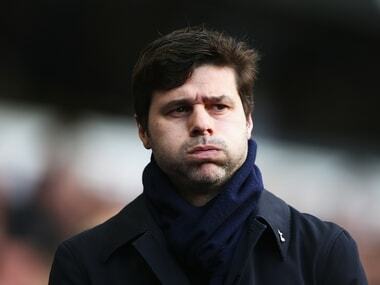 We fought until the end and created chances," said Spurs manager Pochettino. "It was a great experience and we can take a lot of positives." 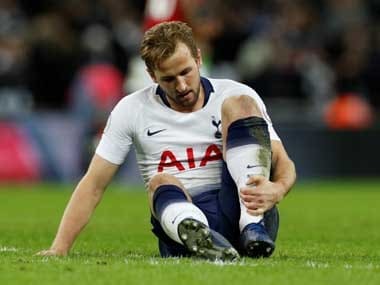 Arsenal joined Klopp's men in the last eight after seeing off second-tier Reading, who are managed by former Manchester United defender Jaap Stam. Oxlade-Chamberlain struck twice for Arsene Wenger's much-changed team, drilling home in the 33rd minute and netting again with the aid of a deflection with 12 minutes to play. Headers from centre-backs Harry Maguire and Michael Dawson took Hull through at the expense of Bristol City, who replied through Lee Tomlin's 50-yard solo goal in stoppage time. Aleksandar Mitrovic and Mohamed Diame each scored twice as Championship leaders Newcastle United routed 10-man Preston North End 6-0 at St James' Park. 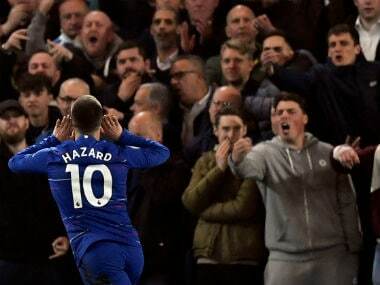 Chelsea visit London rivals West Ham United and Southampton host the Premier League's bottom club, Sunderland.